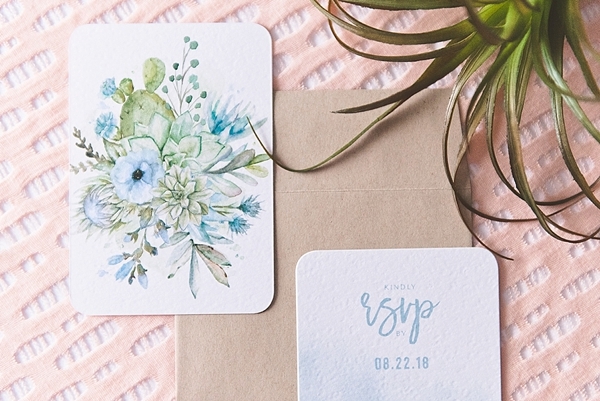 Before Buying Your Wedding Stationery, Try It! Fellow stationery lovers know that the paper, color, font, and design totally matter when it comes to sharing your vision for an event. 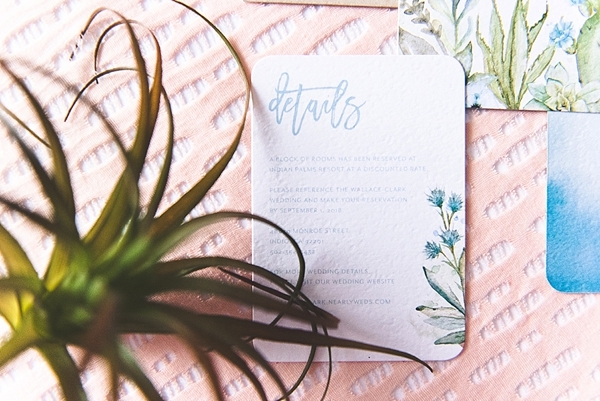 Whether you're a modern industrial bride or a romantic coastal groom, the style and vibe of your wedding day first start with your invitation. 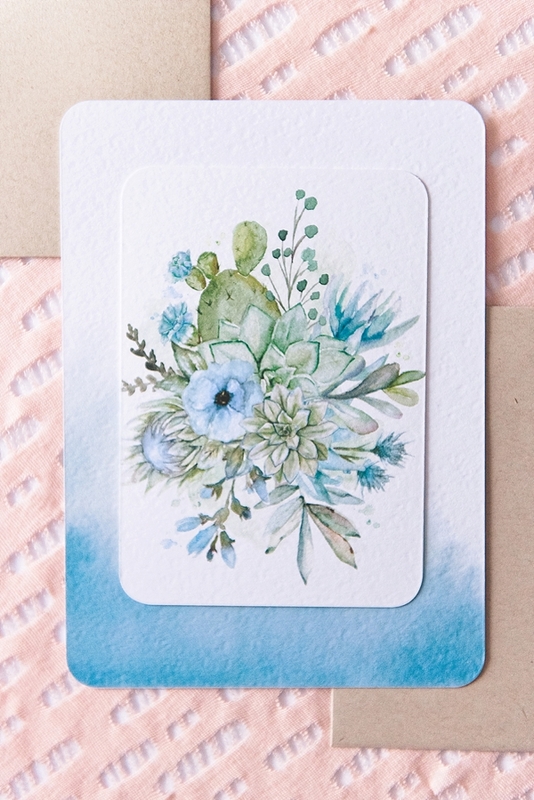 And it's exactly why we love Wedding Paper Divas' free sample kits! 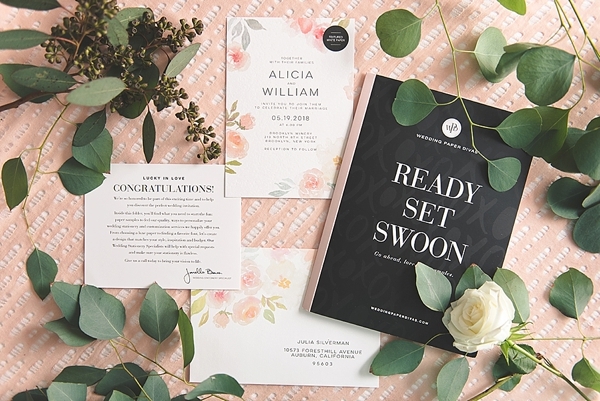 From color swatches to font matching to yummy paper textures, it's a build-your-own wedding stationery kind of starter kit to help you hone in on what you're looking for in wedding stationery. 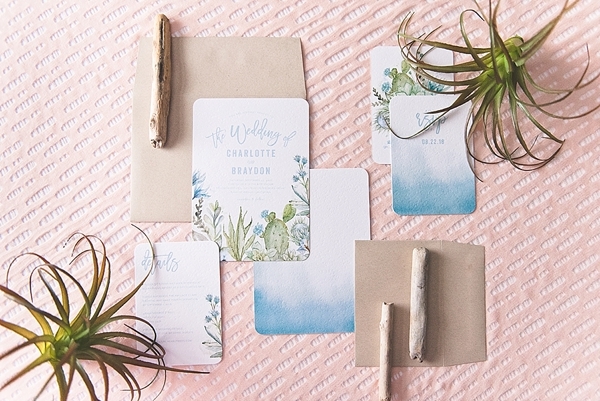 With oodles and oodles of designs to peruse, Wedding Paper Divas offers stationery for every budget. If you want to take your invites to a different level, then consider foiling! If you want something trendy, try laser cut. Spice up your envelopes with a metallic. There are literally limitless ideas to be inspired by on their website. 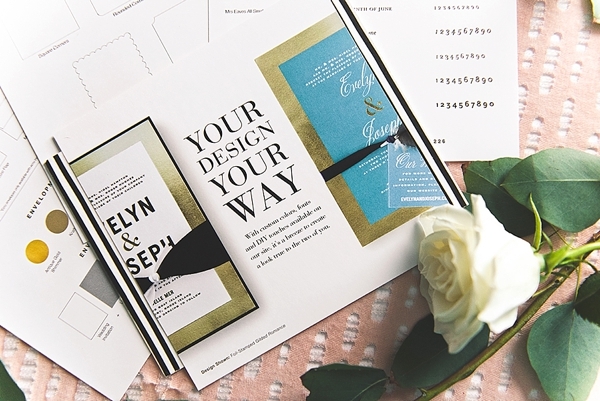 Because there are so many stationery choices out there, our biggest tip is to order your free sample kit and get to know your customization options first. 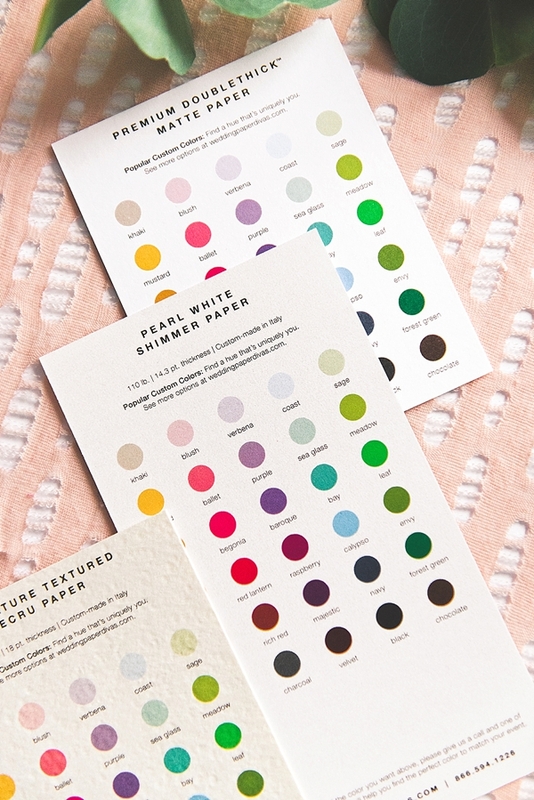 From there, you can decide what kinds of ink colors look best on your favorite paper (our personal favorite is the textured ecru!) and what kind of trim you prefer (we love the good ole classic square corners!). Wedding Paper Divas pretty much has it all! So before you decide, try it! 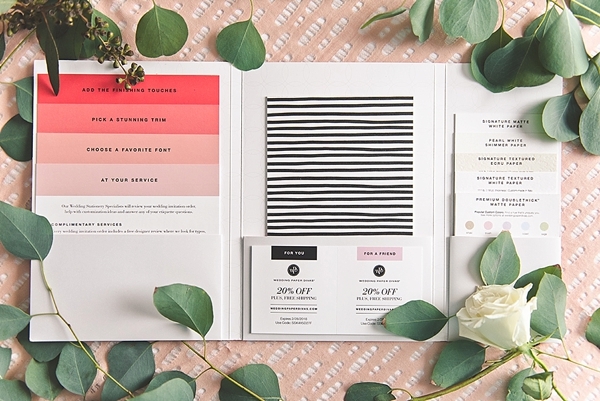 Head over to Wedding Paper Divas website and snag your free sample kit by using the code FREETRY at checkout. Many thanks to Wedding Paper Divas for partnering with Aisle Society for this informative post! And while the disclaimer is that Aisle Society was sponsored through compensation to share these fun details, the words and opinions are all our own.